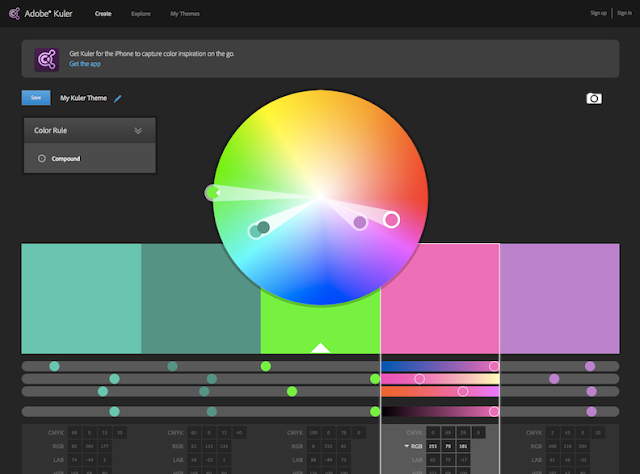 Ever wondered if the colour you like fits the rest of the graphics or your website? 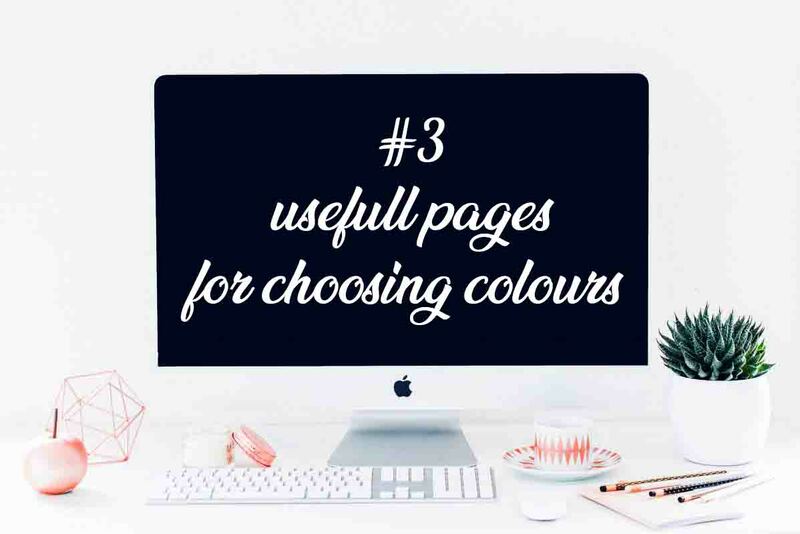 If so, I have something for you - pages that will help you in picking the right colours. 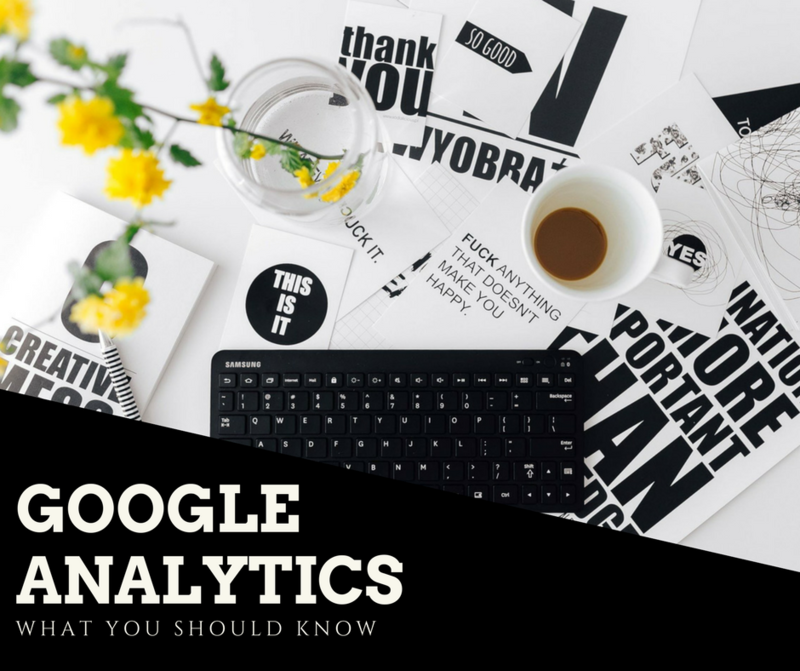 I do realise that not everyone knows how to match colours in graphics and presentations. There are people who are born with this skill - they look at a given color and immediately see what will be the best company for it. There are also those, who can combine the "safest" colour combination and not turn a presentation into a torture for the eye. Regardless of which group you belong to, you certainly will not despise this grand help. My favourite! I like to use it the most for ease of use. The whole process is very simple - we are looking for our colour by moving small circles in the color wheel or entering its code, and then in the menu on the left we choose what kind of colours we want. 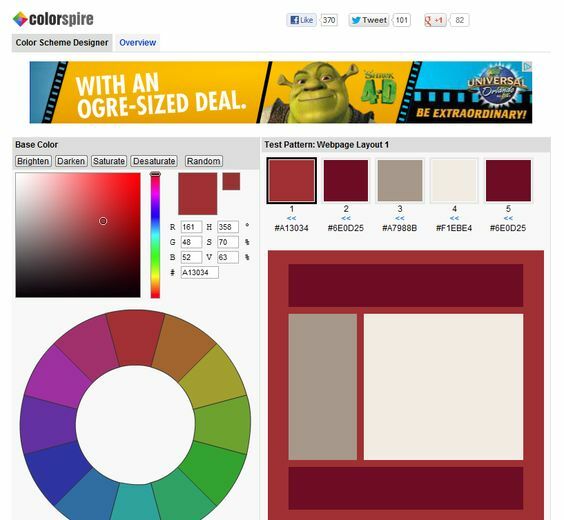 We can also choose the Explore tab and choose from thousands of color palettes saved by users. 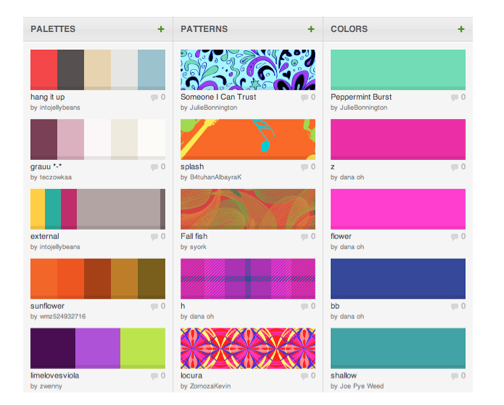 Here you will find a whole lot of ready-made color palettes, which can be modified and create on your own basis. This one will be the best suit for business owners, web developers and bloggers. On the right side view, you can set the colours we plan to use on the background, headline and other elements of our site. Thanks to this, we can quickly assess whether a given colour combination will "work" on the website or whether it will ruin all aesthetics. I hope that from now on, the choice of colors will be pure pleasure for you, let me know in the comments which page suits you the most. Very helpful, I like the second one Colorspire, it’s got nice and colourful patterns. Like the second one colourlovers! So helpful and informative ! Thank you!